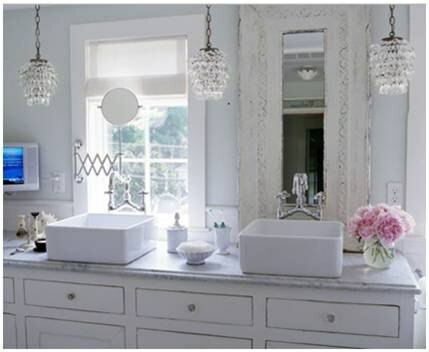 We have been talking about Shabby Chic design lately because it is more popular now than ever before in every room from bedrooms, dining rooms, kitchens and now baths. 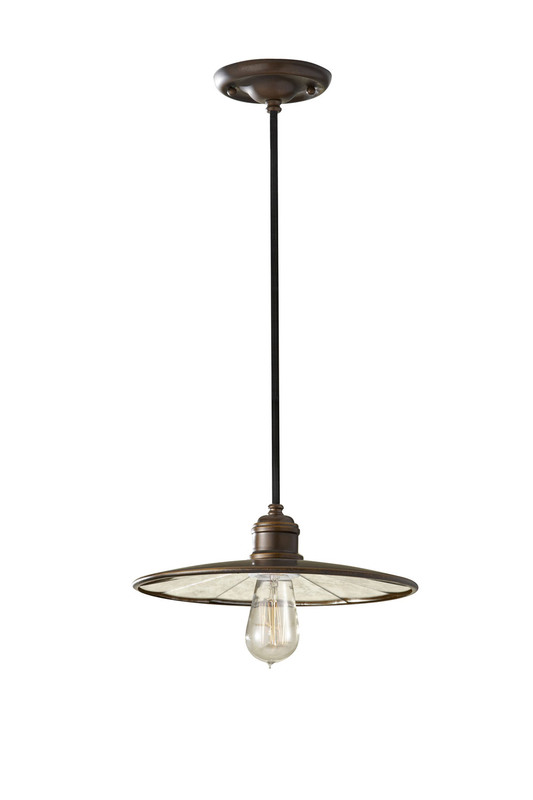 It is a nod to the English and French country styles but will give you so much freedom. Think of Shabby Chic this way.  Modern is one style, and a set principle for design like the Apple store in all white. 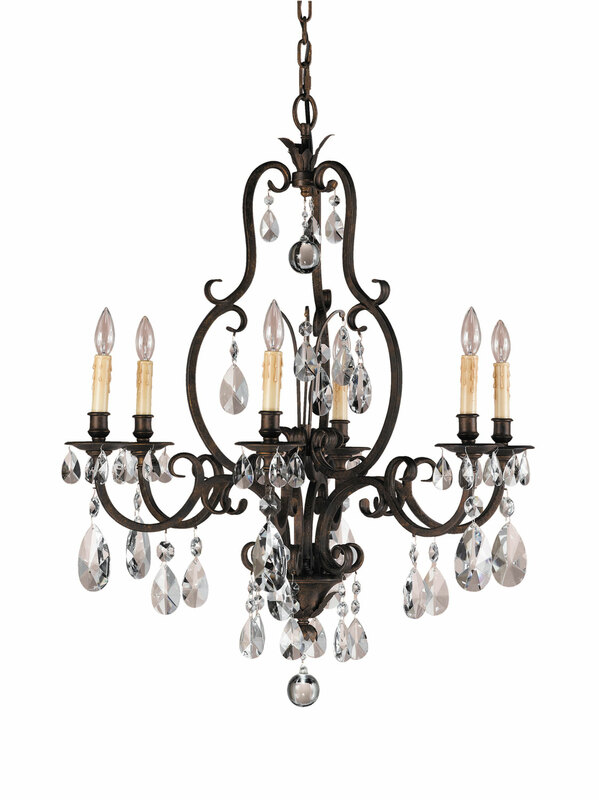 Contemporary is modern with one or two more traditional elements or accents. 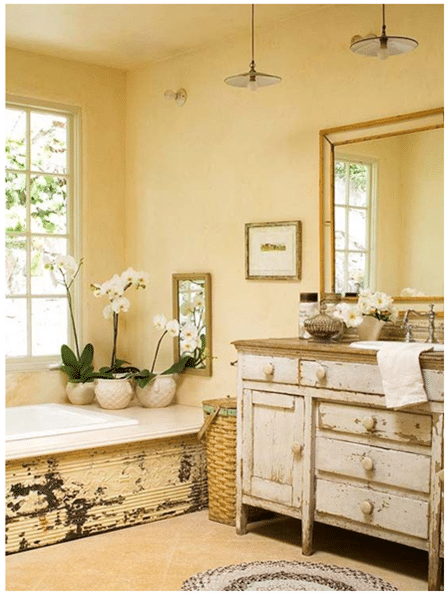 Shabby Chic is a mixture of a bunch of different elements from modern to traditional. The secret is to keep it more chic and less shabby. Following are a few ideas. 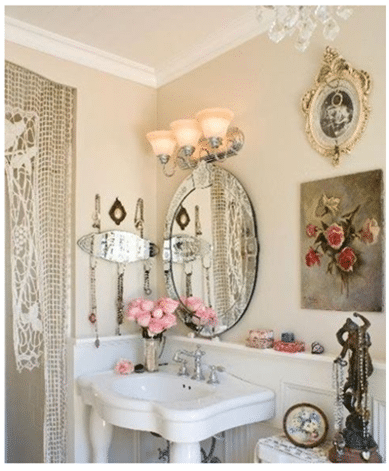 This is a great way to save space when you don’t have room for side sconces in your bath. You can still cross illuminate for shaving or applying makeup. 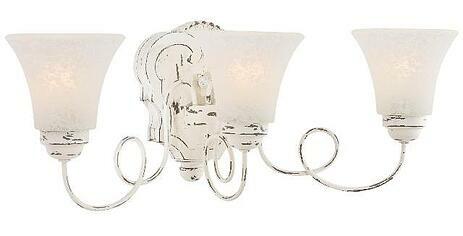 Pair the Minka Lavery vanity light with an oval shaped mirror. It is a more French Country style or traditional Shabby Chic. I love this playful pendant by Crystorama. Use this in an unexpected way to create to create your Shabby chic bath. 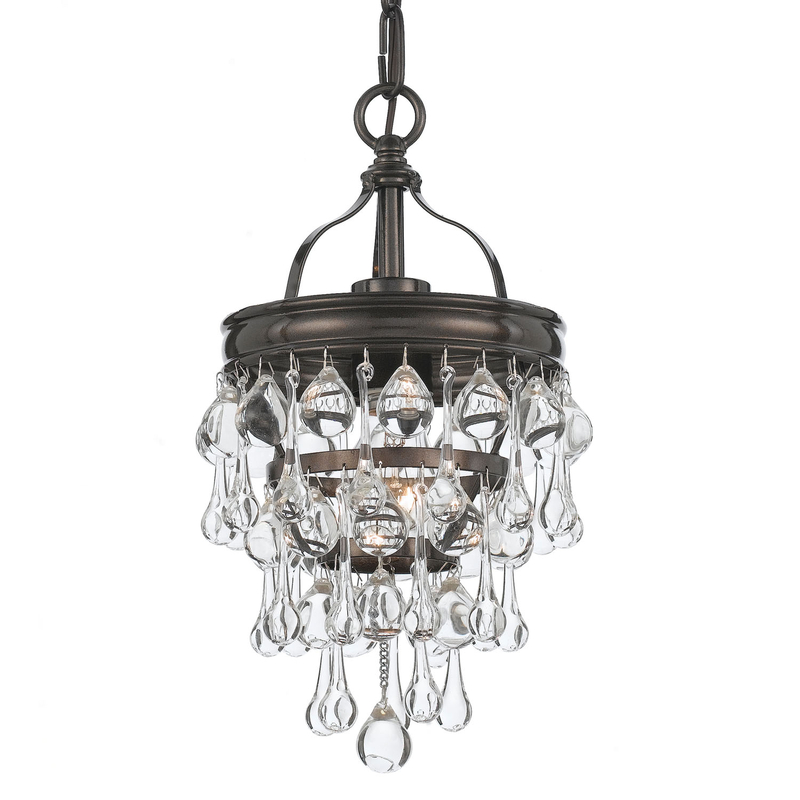 Informal crystal and glass is popular in this style. 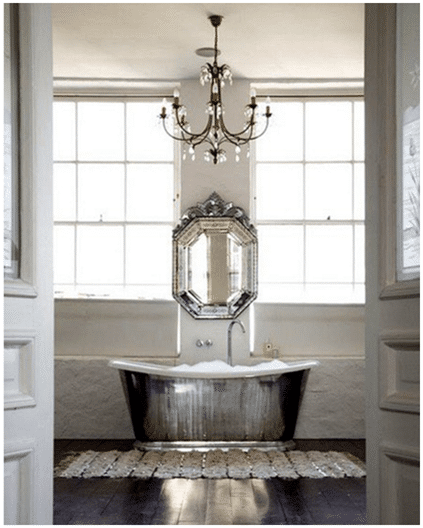 Pairing a Venetian mirror with a Bronze and crystal chandelier by Feiss make quite a Shabby Chic statement over a bathtub. So you can see now that Shabby Chic isn’t necessarily what you use but how you put it together. In Shabby Chic, a concert of different styles can create a more unique environment than a more classic style like modern or traditional. Want to learn more about lighting your home? Get The Yale Kitchen Lighting Buying Guide on how to light your kitchen properly. You will learn light layering and the basic light sources. Well over 160,000 people have read a Yale Guide.